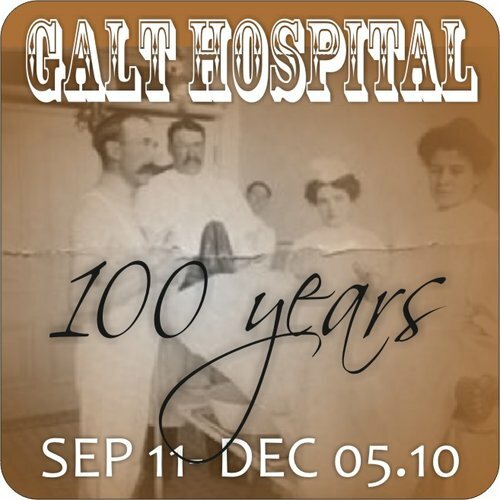 An historic anniversary is a fitting time to highlight the 100-year history of the 1910 Galt Hospital building - located on the edge of the coulees at the west end of 5 Avenue South - in a new exhibit showing at the Galt Museum & Archives until December 5, 2010. The red brick structure has been an integral part of Lethbridge and southwestern Alberta over the past 100 years, as the home of six organizations which have provided valuable community resources. Galt Hospital - 100 Years describes the various uses of the building from September 1, 1910, when Prime Minister Sir Wilfrid Laurier attended the grand opening of expanded Galt Hospital, through today when it has become known as a cultural and heritage icon in its role as a museum and archives. 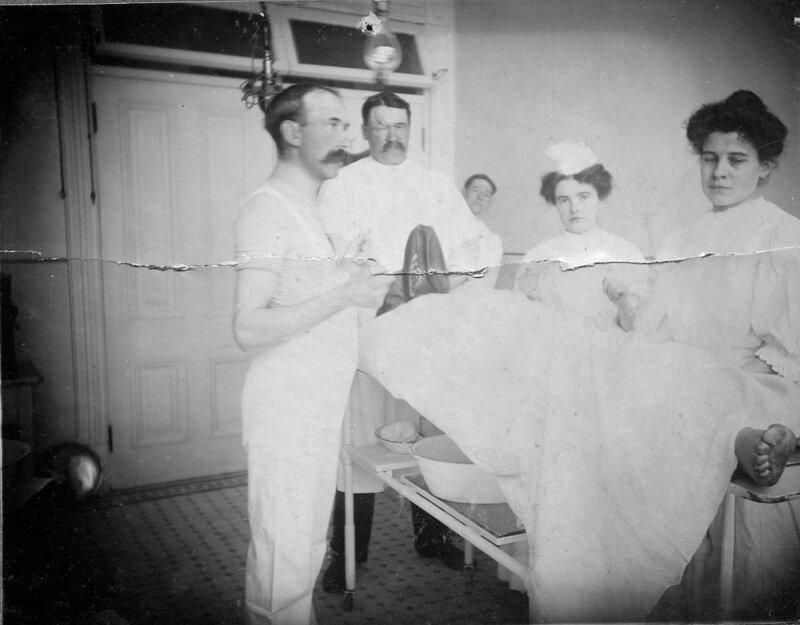 Large-scale photographs, artifacts ranging from an operating table to a nurse’s pin, a seating area and a series of short video presentations paint the picture of the Galt Hospital and Galt School of Nursing, the Galt Rehabilitation Centre, the Lethbridge Health Unit, the Galt Museum, and the Archives. The oral histories captured on video are particularly revealing. Students and professors from the University of Lethbridge Applied Studies program and volunteers from the local Story Catchers organization partnered with the Galt on the oral history project. Interviews were gathered over the past several months and will continue to be gathered in the months to come.The information from these interviews will be preserved in the Galt Archives. 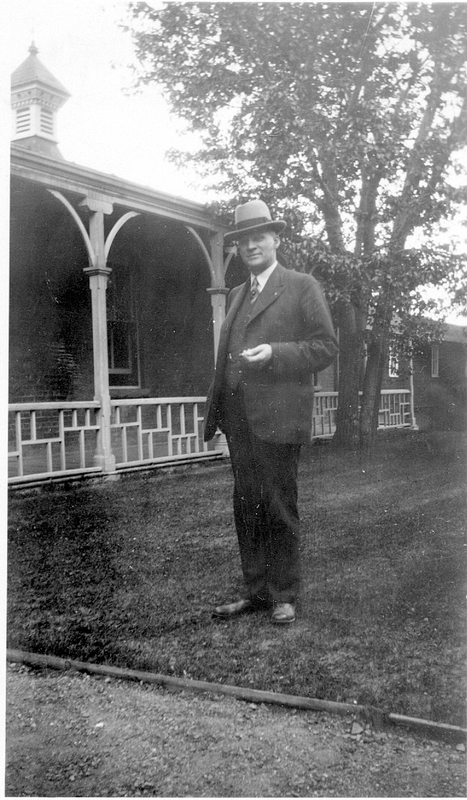 In 1910, the now historic red brick building was added to the existing 1891 Galt Hospital in response to a growing need for more hospital beds. 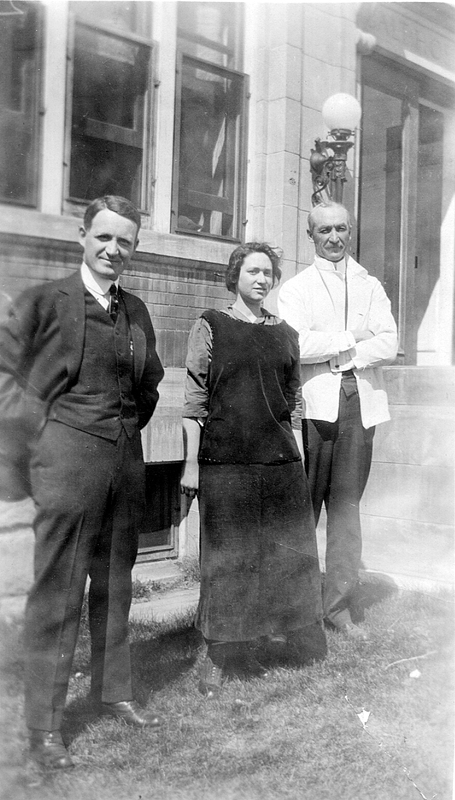 From the time of its opening in September 1910 until June 1955, it served the community as a hospital: with wards, operating rooms, a morgue and administrative offices. 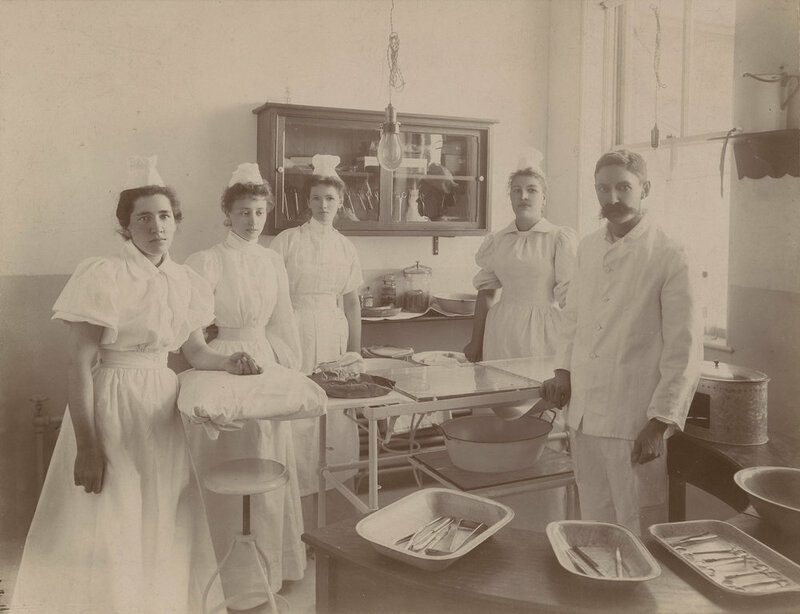 1910 also marked the opening of the Galt School of Nursing - a teaching institute within the walls of the hospital, where young women worked long hours for three years to become nurses. 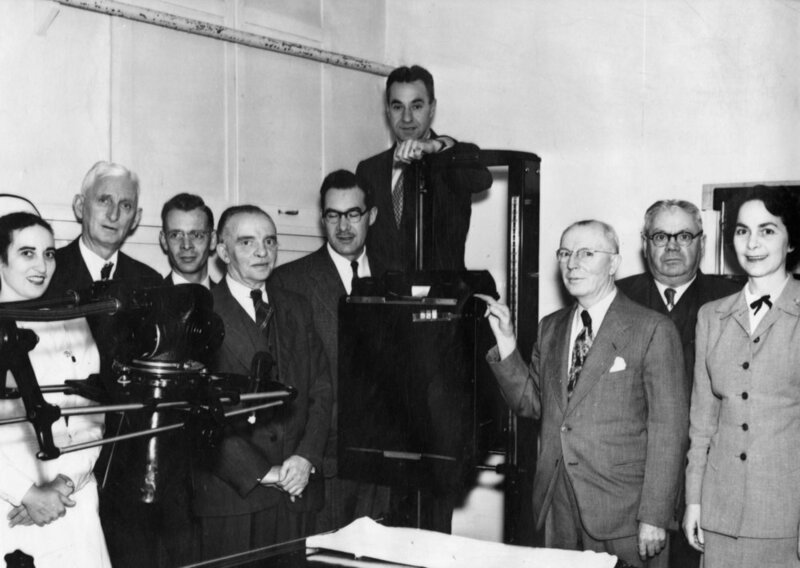 In 1955, the Municipal Hospital opened and both the Galt Hospital operation and the Nursing School moved to the new location. The Galt building and a 1930s addition that initially connected it to the 1891 hospital were turned over to a new use: patients who required long-term care, but who no longer needed to be hospitalized, were admitted to the Galt Rehabilitation Centre which served the people of Lethbridge, the Municipal District of Lethbridge, and nearby towns of Coaldale, Barons, Nobleford and Stirling until 1965. Once the building was no longer required for long-term care, it was turned over to the Lethbridge Health Unit. The Health Unit used the main floor of the 1910 building and the 1930 addition. 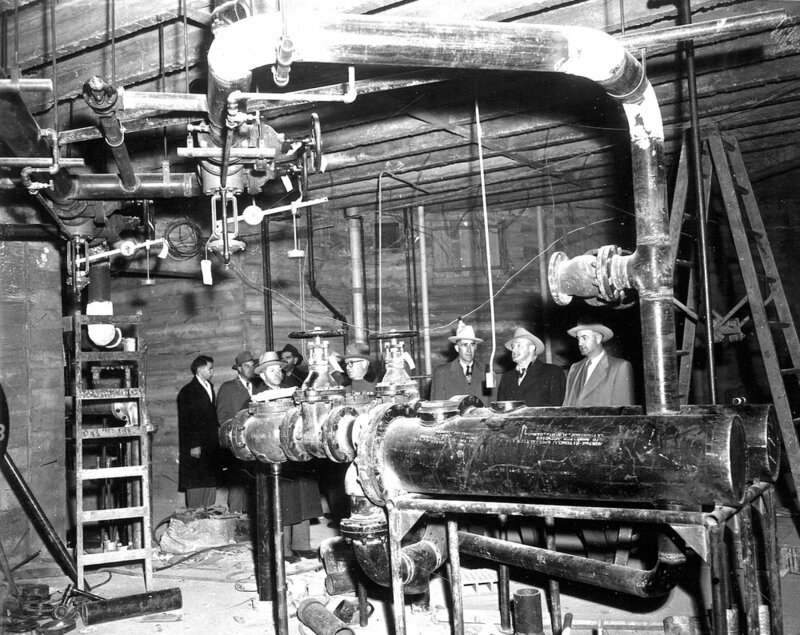 On the second floor and in the basement was another new tenant, the Sir Alexander Galt Museum, which included in its management the development and operation of the Archives.